Just as Owen Paterson, the Tory Secretary of State for Northern Ireland, became the first cabinet minister to oppose equal marriage, Nick Clegg, leader of the Liberal Democrats and the Deputy Prime Minister, has issued a warning to the Conservatives not to back down on the introduction of marriage equality. His comments come as there seems to be a growing opposition to the measure among some back-bench Tories, with some, like the defence minister Gerald Howarth, arguing that it was the government’s support for equal marriage that cost them the local election. The more conservative of Tories have asked for Lib Dem policies such as equal marriage and House of Lords reform to be shelved, urging the government to focus instead on the economy. 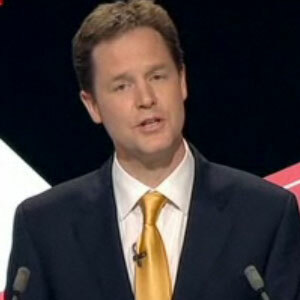 The Independent reports today that Mr Clegg reaffirmed that it was a matter of ‘how, not whether’ equal marriage becomes legal in England and Wales. He had previously said that equal marriage would be a reality by 2015.